Music superstar Davido leads the pack with the highest number of nominations - six (6), while Wizkid, Olamide and Adekunle Gold follow with five (5) nominations each. Tiwa Savage, Kiss Daniel, and Johnny Drille got four (4) nominations each while Flavour, Nonso Amadi, Banky w, Niniola, Runtown, Phyno, Reminisce cupped 3 Nominations respectively. 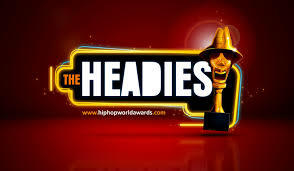 This year, the organizers are also introducing new categories to the award show. The new categories include The Viewer's Choice Award, Best Performer category and a special category to recognize the efforts of brands that have supported the entertainment industry for the past 3 years. Below is Niniola, Seyi Shaw abd Reekado Banks talking about the the upcoming awards.